CEDAR CITY – The Fire Road Cycling race will begin its fourth year running at Main Street Park Saturday in Cedar City. The event will consist of three different distances to choose from: 100 km, 60 km or 25 km. Each distance features a course that follows dirt service roads in Southern Utah. Paul Huddle, race director, first started the race when he and his wife came from San Diego, California to build a second home in Southern Utah. For the 100 km competitors it’s all about cash money, as overall male and female winners will be awarded $750 each. Second place overall will bring home a cool $500 and third will be awarded $250. The overall place finishes are not the only way to win cash. Cash prizes will also be awarded during the Procellera King of the Mountain and Queen of the Mountain climbs on Kanarra Mountain Road. Winners of the climbs will each receive $750 cash prizes. Age group and category top finishers will receive award mugs and various prizes from event sponsors. Although the race demands physical fitness, it is an opportunity for everybody. “You don’t have to be an X Games rider to be able to do this ride,” Huddle said. 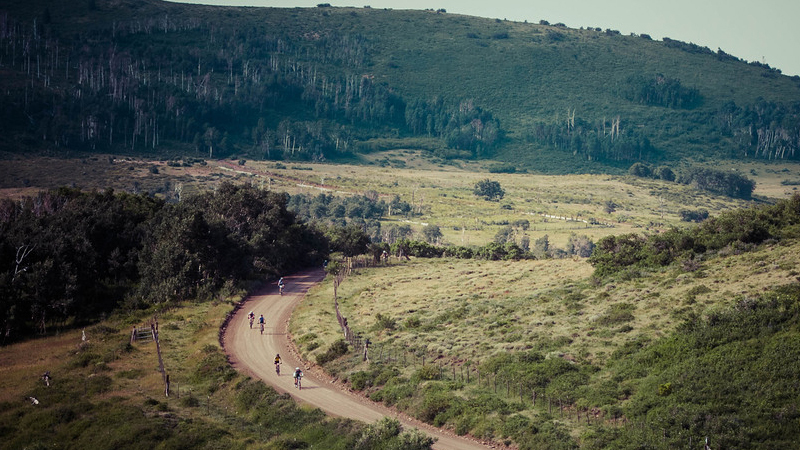 Fire Road Cycling is also a qualifying race for the Leadville Trail 100 MTB that will take place on Aug. 9. A total of 25 qualifying slots are up for grabs with 20 of them being committed to the age group finishing results – minimum of one slot per 10-year age-group – from the 100-km race. Another slot will be awarded to the single-speed competitors while three others will be raffled among the 100-km finishers who opt into the lottery process. If a slot is not won or drawn, there is still a change to race at Leadville with the opportunity drawing, a fundraiser for the John Wayne Cancer Foundation. Spectators are encouraged for those wanting to sit back and enjoy the race, Although cars are asked to stay off the course as much as possible due to dust affecting the athletes. The best places to watch will be the hill climb at the base of Kanarra Mountain Road, Huddle said, and at the Water Tank Trail near the bottom of the Greens Lake decent. Visit the course map for direction. Online and day-of registration is available. Visit Fire Road Cycling for event rules, regulations and additional info. Friday, July 4, 2 p.m. to 6 p.m.
Saturday, July 5, 6 a.m. to 7:30 a.m.
Start time: Saturday, July 5, 8 a.m.